Detoxification is a cornerstone of naturopathic treatment protocol. 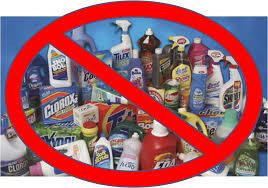 People vary in their ability to process and eliminate toxins and in how toxins impact their health. Clinical detoxification provides a professional system of removing toxins from the body via natural medicine, dietary and lifestyle. Diet and lifestyle (recreational, medicinal, environmental and occupational). Gastrointestinal (dysbiosis, microbiome, digestion, elimination, gut integrity). Regulating and Measuring Cellular Detox Capacity The capacity of each cell to detoxify depends on a range of factors including nutritional status, substrate availability, enzyme modulation and stimulation, alkalinity and even receptor stimulus. With a BioImpedence Analysis, we can ascertain the ability of your cells to detoxify and if they are currently in a toxic state. This tool is invaluable for measuring progress in any detoxification program. In addition to cellular excretion, toxins must also be eliminated from the body and not reabsorbed. Major eliminative organs include the liver (via bile and the gallbladder), the gastrointestinal tract and the kidneys. Metagenics Clinical Detoxification programs along with Bentonite Clay form the basis to our protocols. 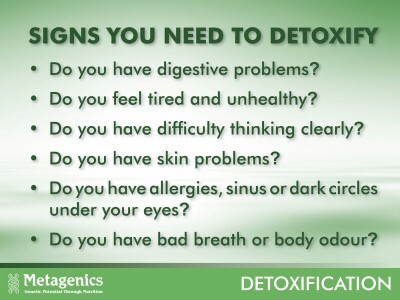 Metagenics Clinical Detoxification programs Involves 2 to 6 weeks+ of a monitored protocol designed to safely remove toxicity from the liver, kidneys, gut and cellular level. 2 Week Program is designed to offer a short, effective detoxification for those with no known health issues but wish to maintain good health and clean the ‘filter organs’ once or twice yearly. 6 week+ is a more tailored program for those with health issues relating to toxicity. This program involves supplementation designed to safely and effectively remove heavy metals, chemicals and endogenous toxicity from the body as well as adhering to a healthy food plan designed to minimise re-toxing. This program is set at a minimum of 6 weeks depending on health issues and length of time a person has been toxic. Remember, we didn’t get toxic overnight, so time and patient compliance is needed to get optimum results. Does this product cover phase 1, 2 and 3 detoxification pathways? Are there any ingredients that scour the bowel instead of supporting healthy motions? Have the ingredient been tested for therapeutic values, efficacy and results. AND importantly – learn to deal with stress in a healthy way as chronic stress has one of the most toxic impacts on the body and mind. Professional Clinical detoxification requires a dedicated commitment with time, compliance and finance from the patient, however the results speak for themselves. Along with the protocol used at Holistic Healthcare, we also recommend regular Far Infrared saunas and Colonics during the treatment phase.